This PLR site review of PLRme takes an in-depth look into the public label rights business run by Internet marketing expert Ronnie Nijmeh. And we do not use the term expert lightly. Mister Nijmeh has appeared on national radio, television and in newspapers as a stress and health expert, and marketing consultant. He discovered the power of PLR content when he was building his own business, and he has used PLR himself to build his main website to over 719 visitors per day. You can do the same using the affordable, quality PLR content offered at PLRme. Ronnie has designed PLRme with a very clean and advertisement-free layout. Tabs across the top of every page give you quick access to the site’s offerings, and there are no annoying popups. Aside from selling quality PLR material, there is also a blog on his site where he regularly posts about marketing and online business tactics. 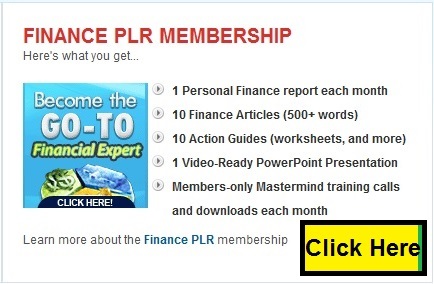 When you hit the homepage on PLRme, you can sign up for a free “Make Money with PLR” profit blueprint, and public label rights content is offered in monthly membership packages and individual reports. The topics which Ronnie Nijmeh’s team of quality writers covers on the site include self-help, finance, niche marketing, online and off-line marketing tactics, weight loss, stress management, and other markets and niches. These are offered in several different forms. 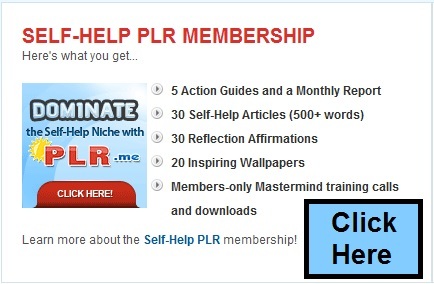 One popular type of product offered at PLRme is the PLR training package. Across a wide range of topics, these public label rights training packages start at just $17 and include a topical report, e-mail templates, “fill in the blank” content templates and much more. PLRme really stands out in this area. Aside from the free “Make Money with PLR” profit blueprint you receive when you sign up for updates, there is a free PLR video section which offers several videos that show you how to use and profit from private label rights content. Mister Nijmeh has also included a helpful “tools” section, which contains no less than 15 free PLR packages and training courses. Whether you are looking for consistently delivered, high-quality monthly private label rights products, or simply a one-time purchase, PLRme has a lot to offer. By simply heading over to the site, you can sign up for and receive the free “Make Money with PLR” profit blueprint. But you should also take time to check the “Tools” section for all the incredible free training that is offered. Products range from $1 a page for individual PLR products to monthly membership packages with $9 to $19 initial monthly membership fees. If you are looking for professional quality public label rights products accompanied with free training and material, PLRme deserves a closer look. Check out PLR.me for the best in private label content, and your customers will reward you.